The Jane Austen Society of North America is hosting the 2013 Spring Meeting at Chapman University on Friday, April 26-27, 2013 to celebrate the 200th anniversary of the publication of Pride and Prejudice with an examination of this most "light, bright and sparkling" of Jane Austen's novels on film. 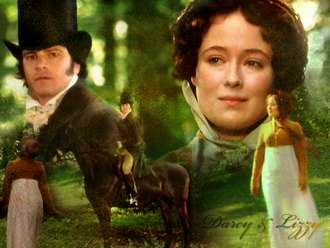 The program will begin on Friday evening, April 26, with a showing of the first half of the iconic 1995 BBC Pride and Prejudice miniseries, hosted by the screen writer, Andrew Davies. On Saturday Mr. Davies will discuss the art of screen adaptation with special reference to the making of the miniseries. In addition, Rand Boyd, Special Collections and Archives Librarian at Chapman University, will discuss the library's special display of Austen-related materials, Pamela Ezell of the department of digital and broadcast media at Chapman will share her insights on the unique production choices made by the creators of a number of other film adaptations of Pride and Prejudice, and several of Dr. Lynda Hall's students will present their views on the enduring appeal of P & P, in print or on film. All screenings are co-sponsored by Sigma Tau Delta and are free to the public. 10:30 - 12 p.m.: Pamela Ezell, Senior Producer and Director of Panther Productions, the department of digital and broadcast media at Chapman University, will share her insights on the unique production choices made by the creators of a number of other film adaptations, from the Greer Garson/​Lawrence Olivier 1940 version to the recent, and much maligned, Keira Knightley/​Matthew Macfadyen vehicle. 1:30 - 2:45 p.m.: Andrew Davies will discuss the art of screen adaptation with special reference to the making of the BBC Pride and Prejudice miniseries and his other Austen projects, Emma (1996), Northanger Abbey (2007), Sense and Sensibility (2008), as well as Bridget Jones's Diary (2001) and Bridget Jones: The Edge of Reason (2004). As a preview, click here for a short YouTube video where he talks about his screenplays of Jane Austen’s works and here for a full list of his films. 2:45 - 3:30 p.m.: Student Presentations on the enduring appeal of Pride and Prejudice in print or on film, by students of Dr. Lynda Hall. 4:30-6:30 p.m.: Intimate fundraising dinner with Andrew Davies (Click here to request an invitation.) OR dine on your own at a nearby restaurant. Andrew Wynford Davies is a British screenwriter and author. He was made a Fellow of BAFTA (British Academy of Film and Television Arts) in 2002. In addition to his film adaptations of Jane Austen novels, he has also authored the scripts for the BBC's Middlemarch, Bleak House, the House of Cards Trilogy, Vanity Fair, and Wives & Daughters among many others. In 2008 Davies won an Emmy for his Little Dorrit script and in 1979 received the Guardian Children's Fiction Prize for the novel Conrad's War. His most recent script is for the soon-to-be-aired Mr. Selfridge. He is currently at work on a ten-part War & Peace miniseries. Rand Boyd is Special Collections and Archives Librarian in the Frank Mt. Pleasant Library of Special Collections and Archives at Chapman University and the Archivist for the California Academic & Research Libraries Association (CARL). A published historian, Rand is currently working on a book about the early years of Chapman University. Pamela Ezell has an MFA in Creative Writing and was formerly on the faculty in the English Department at Chapman University where she taught literature into film, film aesthetics, drama, and creative writing. Pamela is currently a Senior Producer and the Director of Panther Productions, the department of digital and broadcast media at Chapman University.